The classification by cell types deals with the question, into which tissue or into which cell types the precursor cells can differentiate. A blood stem cell e.g. cannot become new bone or a nerve cell. Another word for hematopoietic stem cells is blood stem cells. Their task is clear: These stem cells are responsible for the whole hematopoiesis. They have only a very limited life span. Every day, about 200 billion of erythrocytes (red blood cells), 120 billion of leucocytes (white blood cells), and 150 billion of thrombocytes (platelets) must be formed in an adult person. Mesenchymal stem cells are the precursor cells of connective tissue. They develop into bone and cartilage as well as muscles, tendons, and ligaments. They are contained in particular in the umbilical cord tissue. 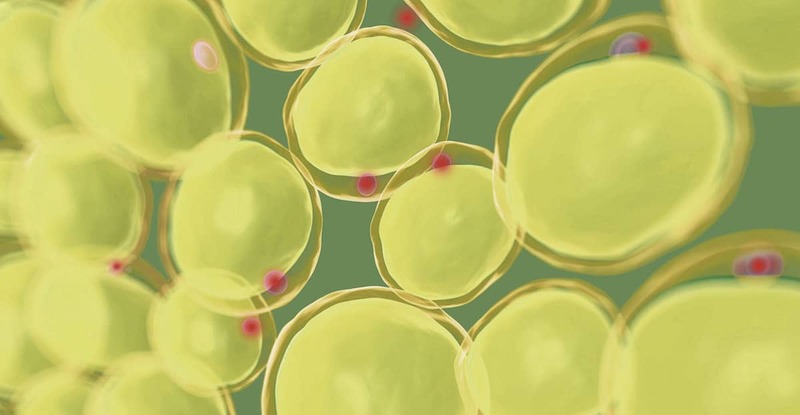 Human fat tissue is rich in mature fat cells and in adult mesenchymal stem cells and is therefore a valuable source for stem cells. Neuronal stem cells become nerve cells, in particular brain cells. They are particularly interesting in researching neurodegenerative diseases like dementia or Parkinson’s, but also traumatic injuries, e.g. after strokes or serious head injuries caused by accidents. The hope in this regard is that neuronal stem cells may trigger repair processes and thus minimize damages. Ontogenesis in biology is the development of the individual – from the egg cell to the sexually mature organism. The classification by ontogenetic age therefore differentiates embryonic, fetal, and adult stem cells. It follows the various stages of human development – from the fertilized egg cell to the adult. Embryonic stem cells act in the beginning of human life – long before birth. They are the “mothers of all cells” and can become any type of specific cell. However, they exist only for a very short time – namely during the development into the blastocyst, the state of the embryo about three to four days after fertilization. That means for medical application, you would have to grow embryos and destroy them afterwards. Embryonic stem cells are therefore highly controversial from the ethical point of view, and their production in Germany is prohibited. Adult stem cells from bone marrow and other organs are the reservists of our organism. They create substitutions for dead cells. They cannot differentiate into all types of cells in an organism anymore like embryonic stem cells and they are not as viable as stem cells from umbilical cord blood. Furthermore, their later extraction is laborious, risky, and expensive. Stem cells from umbilical cord blood belong to the adult cells, even though they are particularly young and potent. They are therefore their own class –neonatal stem cells. Collecting umbilical cord blood at birth and storing it is the most simple and ethically inoffensive way of extracting young and potent and stem cells, thus securing them for medical precaution. Neonatal stem cells are easy and safe to collect. In cryo-preservation, i.e. frozen over liquid nitrogen at approx. minus 180 degrees Celsius, the stem cells from the umbilical cord blood do not age and maintain their vital properties. They are tolerated best from your own body - the tissue characteristics match perfectly. Rejection does not occur, which is a great advantage especially for the regenerative medicine. Once stored, stem cells from umbilical cord blood may be helpful to sick siblings in case of need. Clinical studies all over the world try and test new applications and therapies. The classification by differentiation potential deals with the question, into how many different cell types a stem cell can develop. After all, all stem cells are not the same. There is a hierarchy from the generalist to the specialist. The general rule is: The earlier a stem cell develops, the higher is its differentiation potential. Omnipotent or totipotent stem cells can originate a complete organism. The fertilized egg cell, the so-called zygote, develops to become an embryo by cells dividing. Omnipotent stem cells exist only in a very short stage of embryonic development: until the blastocyst develops, the embryo’s age three to four days after fertilization, when all organs and tissues are created. The cells arrange themselves in the blastocyst. The outer layers form the so-called trophoblast, which develops into the amniotic sac, the umbilical cord, and the placenta. The inner cell layers form the embryoblast, which becomes the complete human being. When the woman’s egg cell and the man’s sperm cell fuse, the zygote develops into the morula through cell division. In humans, this stage of development starts during the embryogenesis with the 16-cell stage. It takes about four days from fertilization to morula. During this time, the stem cells are totipotent, i.e. they can originate a completely new organism including placenta, amniotic sac, and umbilical cord. Pluripotent stem cells also have the property to differentiate into all types of cells, but they cannot become an entirely new organism anymore. Pluripotent stem cells are particularly interesting to stem cell research and tissue engineering. The goal of the latter is to grow tissue in a three-dimensional structure and with complex tasks. One day, whole organs could be replaced by means of this method. Multipotent stem cells can differentiate into various cell types of their tissue. Hematopoietic stem cells e.g. originate all blood components like erythrocytes, leucocytes, and thrombocytes. Neuronal stem cells may become different types of brain cells, but no more muscle cells or heart cells. Oligopotent stem cells are still able to differentiate into a few cell types of their tissue. Blood-forming stem cells are multipotent. They divide, and a daughter cell may develop into myeloic stem cells or lymphoid stem cells. Both types of stem cells are oligopotent only. The myeloic stem cells become erythrocytes, granulocytes, thrombocytes, and monocytes. The lymphoid stem cells become part of the immune system – namely T cells, B cells, and killer cells. Unipotent stem cells in this hierarchy are those with the lowest differentiation potential. They can only become their own type of cell. An example of unipotent stem cells are spermatogonial stem cells, which are contained in the testicles. They can only become sperm cells.